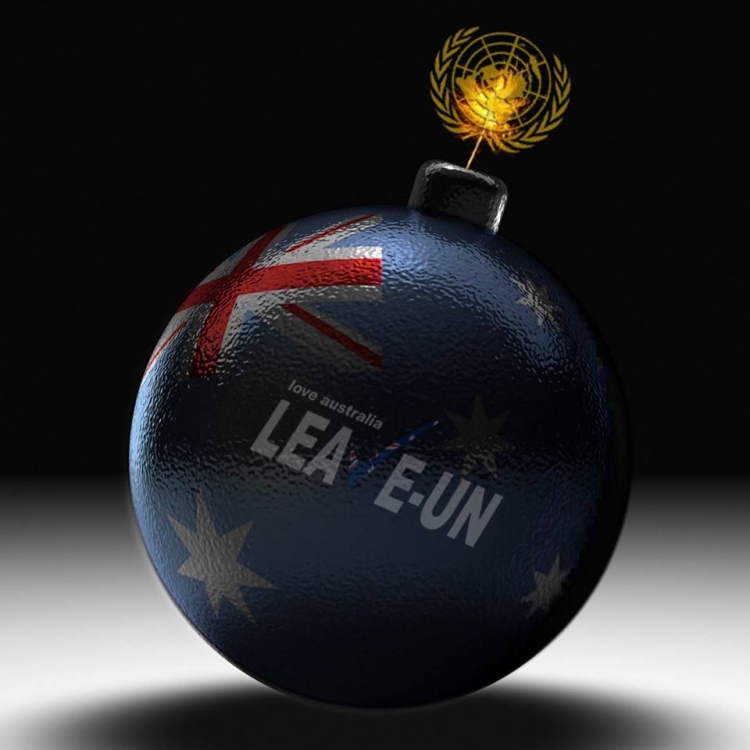 Love Australia or Leave Party (LAOL) will play a historic role campaigning to vote to Leave the United Nations. On June 23, 2016, LAOL announced that we will run a #UNEXIT Leave-UN Campaign. This will be a long-term campaign to leave the United Nations. If the UK via #BREXIT can leave the EU, then there is nothing prohibiting Australia from leaving the United Nations. Let Australia be the country to take the lead. It took 20 years from the initial concept of the British leaving the EU to having a successful referendum. Our campaign will remain active until we can rid Australia of the curse of the UN. We will document UN events, facts and the latest decisions and outcomes. Leave-UN is dedicated to providing factual evidence to why and how we can leave the UN. The United Nations' relationship with Australia is not financially sustainable. The United Nations' agenda is for Australia to have permanently open borders, thereby eliminating our sovereignty. The UN was founded by Communists whose common end goal is a socialist world government. The UN's foreign aid programs only serve to prop up incompetent governments or subsidise economies so that countries can never be truly sovereign. The UN's basic philosophy is both Anti-Australian and pro-totalitarian. The UN seeks power to control the environment, population, children and the world. The UN ignores communist atrocities but targets non communist nations and leaders. The UN continues to shame Australia on a global scale if Australia does not to comply with UN recommendations, regardless of the amount of taxpaying money that Australia pays the UN yearly. The UN places restrictions on basic human rights such as freedom of speech, freedoms of the press, association and religion. 1. To cease all payments to the United Nations including its subsidiaries. 2. To withdraw Australia (at all three tiers of government, Federal, State and Local) as a member state of the United Nations. 3. That our Australian Constitution be the ONLY Supreme Law of the Land recognised by Australians and Australia's Government. 4. We demand a referendum. The PETITION FOR AUSTRALIA TO LEAVE THE UNITED NATIONS petition to UNEXIT Aus-Exit Leave-UN Campaign Love Australia or leave Party was written by Love Australia or Leave Political Party and is in the category Politics at GoPetition.